I spy a hot dog toy!! 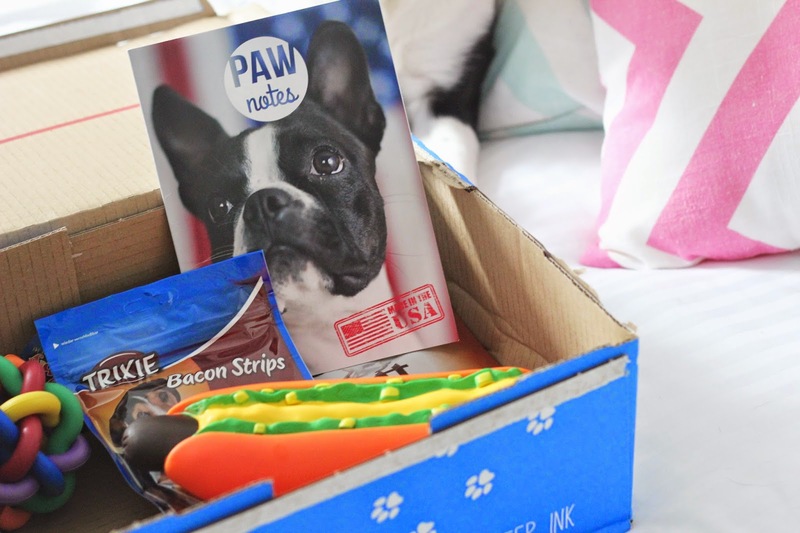 Pawsome box is a subscription for your dog or cat, they do a purrfectbox too. Inside you get six products for your pet to enjoy, each box has a theme. January has an America theme which is fun, we enjoyed opening this box together. As soon as I brought it in from the post man Bella was all over it, she was running around it, nudging it whilst I opened it to reveal some exciting products for her. She wanted to play and eat it all right away so I decided to do the mini photo shoot straight away, otherwise she would cry next to the box all day. She got so excited each time I revealed something to her out of the box. 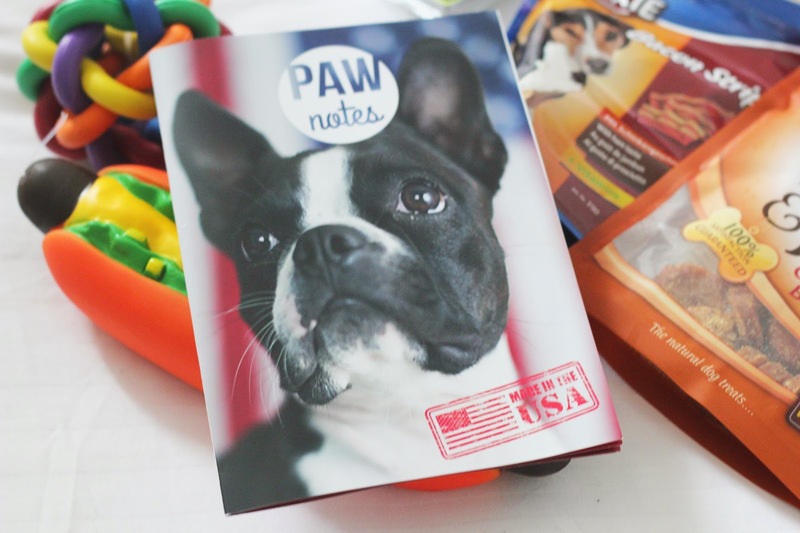 How cute is the cover of Paw Notes, I love everything American so I was super excited to see the theme of the January box. I was excited to see my dog run around the house with a hot dog toy too. It has such a loud squeak and its here favourite out of the box so far, its amazing to see how much fun she is having with it. I love the whole idea of Pawsome because I buy Bella toys all the time and end up with little choice at pet stores. This box is fun from start to finish, opening the box together is special. We use everything from the Pawsome box, you get six things in the January box. How cute is the theme, the baseball chew is something that Bella wanted straight away. I let her chew half of it so far and it kept her busy for ages. I love that you get treats in the box too, it helps keep her biscuit tin full. The chews are bacon and chicken flavor to go with the theme, which is amazing. 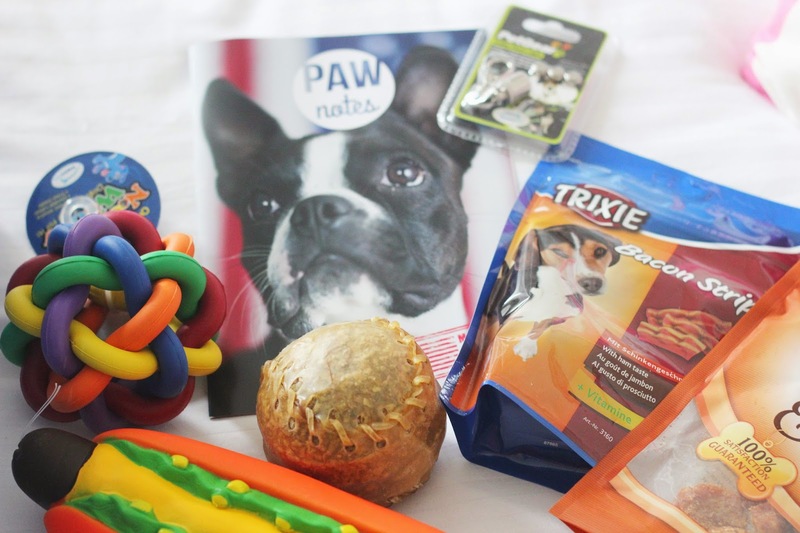 Pawsomebox £19.90* So to subscribe to pawsomebox, all you have to do is, choose a pet plan. You can go with monthly, half yearly or yearly and you can cancel at anytime. 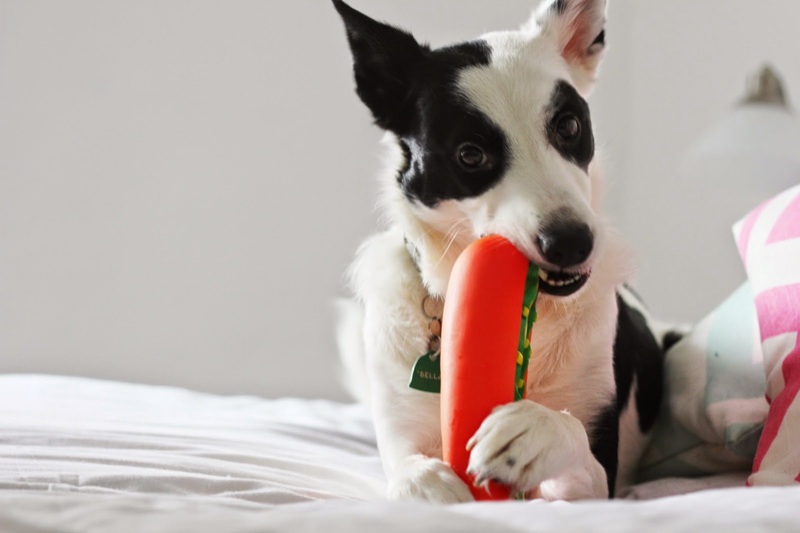 The box is specially adapted to your dogs breed, age, size and preferences. They come with the best high quality treats and its a fun way to treat your dog. We had fun opening this box together and you can space out the treats so it keeps it fun for your dog too. I love everything about Pawsome, the products are of high quality and its something we enjoy together. So what are you waiting for head over and complete your pet profile. 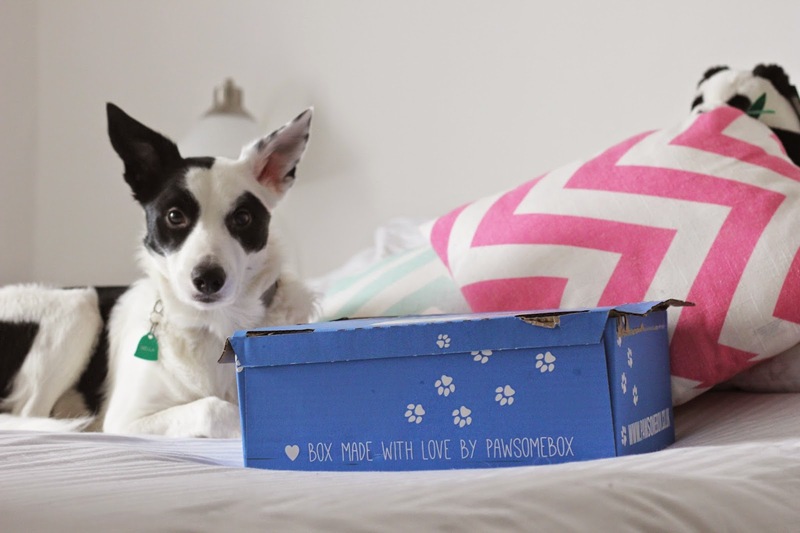 Your dog is gorgeous and I love the idea of this box! 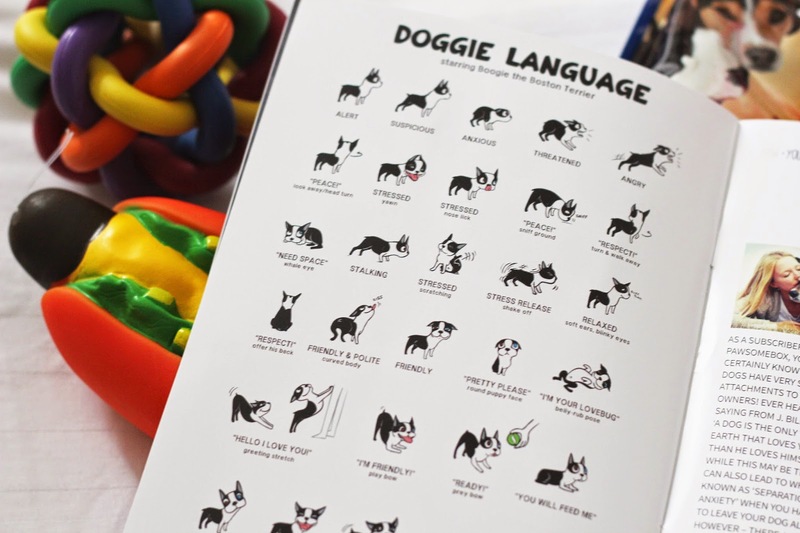 My dog would adore it! 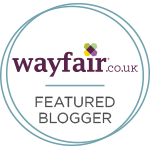 Lovely review and stunning pics <3 Loving that rainbow toy ^^ I am loving the look of these pet subscription boxes, I have the purrfect box to review and my cat even started to open the box without me haha! Aww this is such a good idea! Dog's get flat too, and sometimes it's nice to give them something to get excited about. I need to get them to send Pennie some!! The only downside to reading this post was the fact that I went straight to the website after reading and placed an order - goodbye money, but hello happy lil pup! 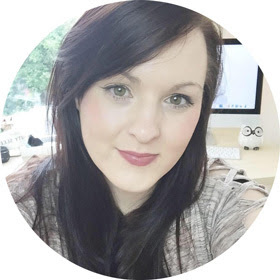 I loved this blog post and I love dog people - YAY. Your dog is beautiful, and Bella is such a cute name! I'm so excited for my little Lola to get her box, that can be her Valentine's Day present! Thanks so much for introducing me to this amazing company! awww, thats such a cute puppy <3 i am gonna order one for my cat too!